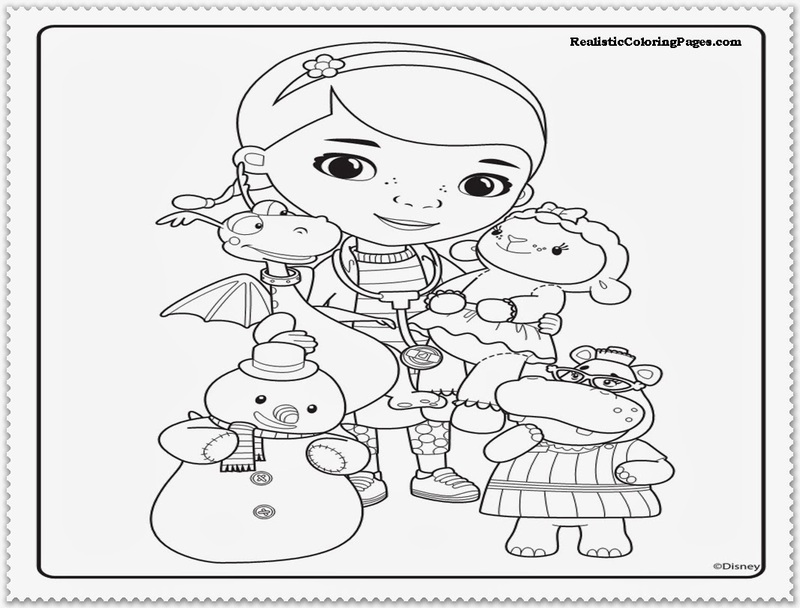 Doc Mcstuffins is animated cartoon movie series for kids who tells the story about six year old girls who can fix any toys. 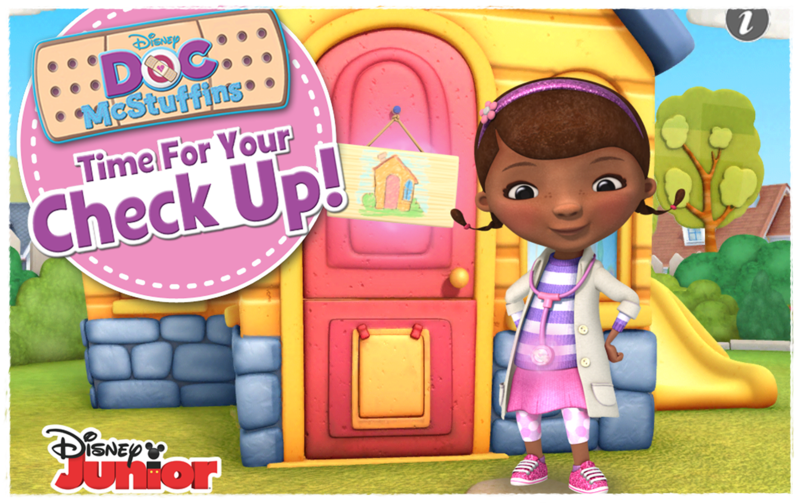 This little girl names is Dotie McStuffins, Dotie want to be a doctor like her mother and she start by fixing any toys and dolls. 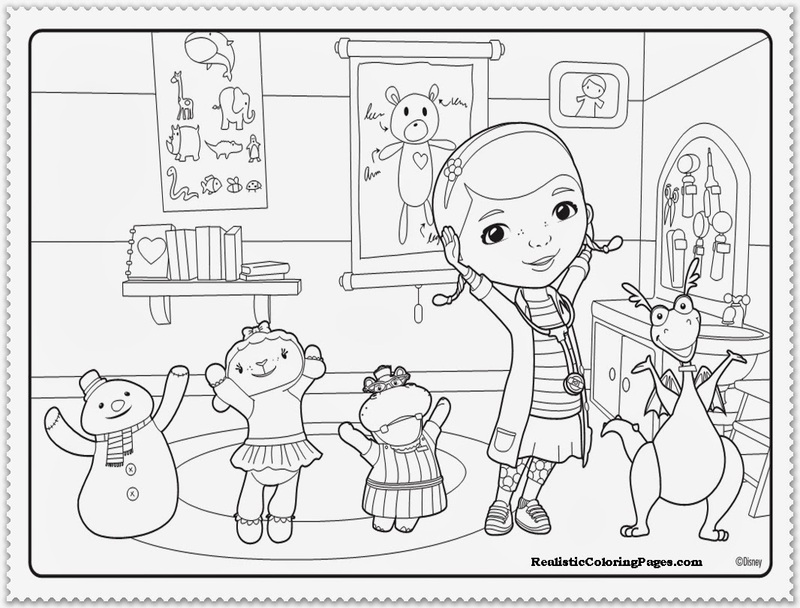 When she touch broken toys or dolls with her stethoscope, she can communicate with them. 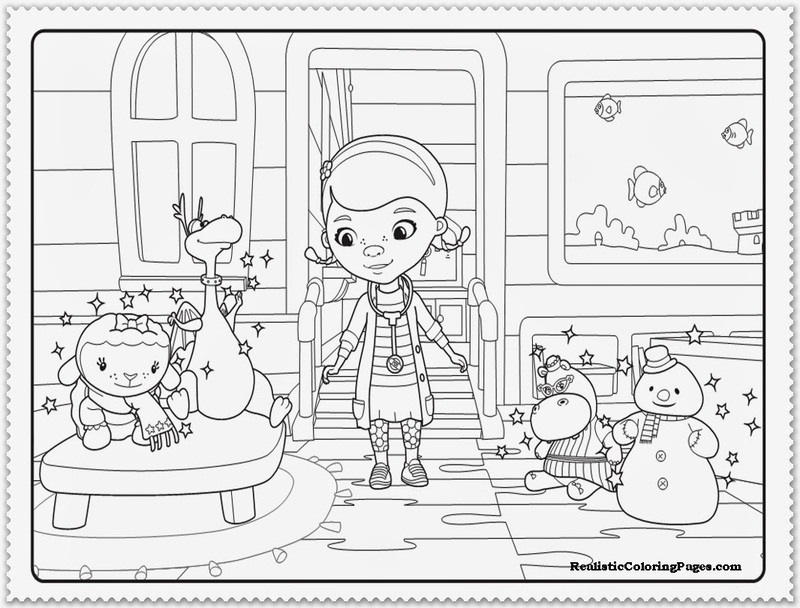 She is like a little einstein, she can ask the toys what they feeling and how to fix them without hurt them. 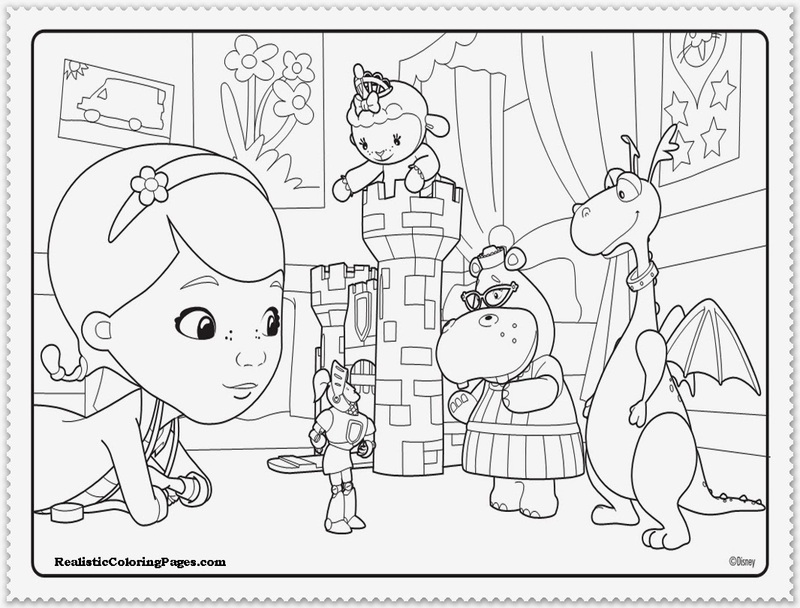 In this pages I have preparing 5 Doc McStuffins coloring pages printable for your kids, so after they watch the television series they can coloring this pages.